april. the. list. - bitte.und.danke. The weather sure has taken a 180° turn from this time last month, hasn’t it?! In place of snow, the temperatures are actually...dare I say it, warming up! 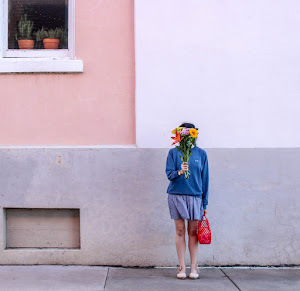 You’ve probably already guessed it, but today I’m sharing my latest installment of “the list.” Now that it’s finally starting to feel like spring, I’m excited to slowly (but ever so surely) begin adding warm weather staples to my wardrobe. 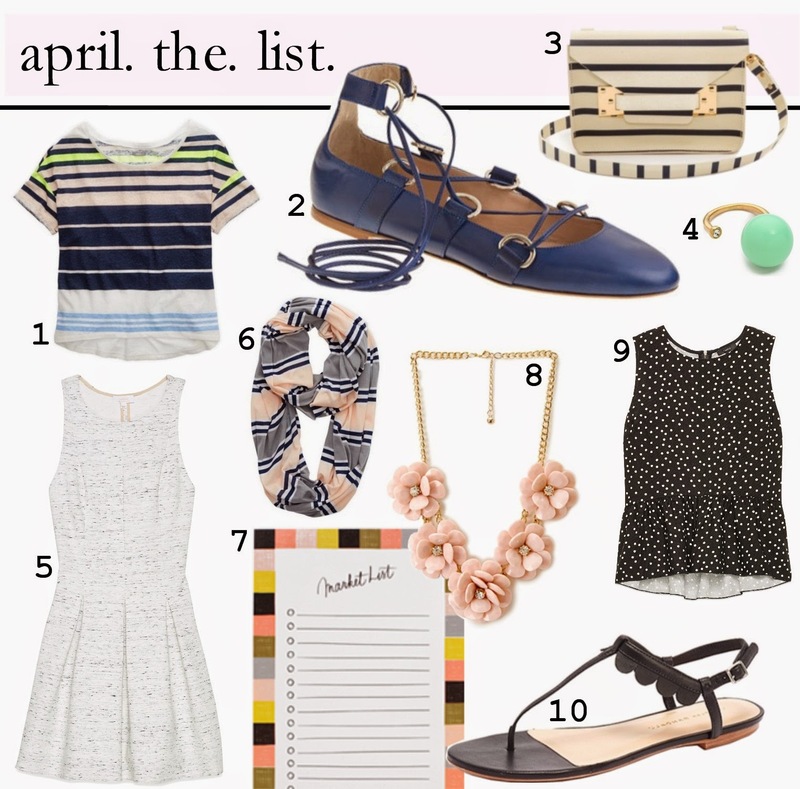 Naturally, a new pair of sandals, striped tee and lightweight scarf are at the top of my list. And did I mention that I’m currently sweet on all things blush pink? 2. Gladiator Ballet Flats (J.Crew) - A cross between a gladiator sandal and classic ballet flat, I think J.Crew read my mind on this one. I just can’t decide which one I like better: bright royal or vintage sandstone? 3. Sophie Hulme Mini Envelope Bag (Shopbop) - You had me at creme & navy stripes. Enough said. 4. Marc by Marc Jacobs Ball and Nail Ring (Shopbop) - A quirky and fun ring that will lend a “pop of color” to any ensemble. Available in fluoro mint or coral, you can’t go wrong. 5. Wilfred Paradoxe Dress (Aritzia) - As I’m a sucker for anything that looks remotely effortless, you can imagine that this fit-and-flare dress from Aritzia is nothing less than perfection in my book. 7. Checkered Market Pad (Rifle Paper Co.) - It wasn’t long ago that I spotlighted Garance Dore’s stationery line for Rifle Paper Co. Well, it’s officially out now and I think it’s safe to say that I want the entire line...this checkered notepad included! 8. Kitschy Floral Necklace (Forever 21) - Kitschy, yes, but how great would this pale pink floral statement necklace look with a breton striped shirt or springtime frock? 9. Talula Larkhall Blouse (Aritzia) - Sharing my love for polka dots on this one. Complete with a subtle ruffled peplum, this blouse is a winner on all fronts. 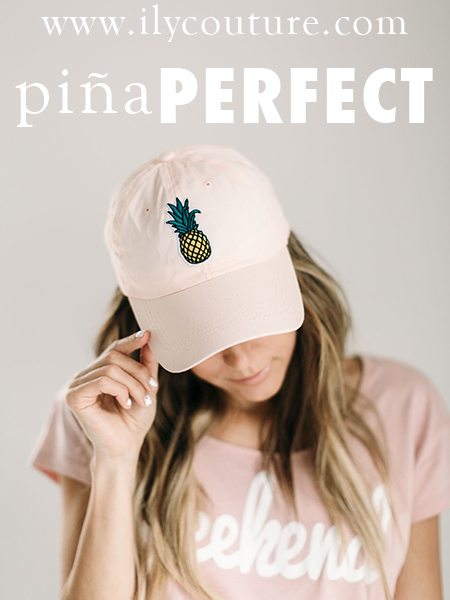 Top three spring must-haves? Ready, set, go!